Existing research activities (SILOET) are developing parametric lifing models for support of the service life cycle cost and reliability modelling process. These descriptions will be based upon point in time data sets and will rapidly become out of date as designs and operating environments develop. Additionally the design expectation offers a new reference point for Engine Health Monitoring or overhaul shop anomaly alerting - improving early detection of emerging service issues. In most cases, system level design changes are required to address the emergent issues and learning at component level. For example, a study of high pressure turbine (HPT) seal segment oxidation characteristics from the fleet engines, which is a major driver of on wing life through its influence over HPT blade tip clearance and hence turbine gas temperature margin, helped to size the flow capacity for the Turbine Case cooling system on a future engine design in Rolls-Royce. It is observed that wear, cracking, fatigue and corrosion are the top degradation mechanisms for the aerospace and similar components. This project will develop technology demonstrator to capture component failure, damage and degradation data using two well-known technologies: 3D digitiser for the surface characteristics and surface cracks and thermography for corrosion, delaminations, impact damage and disbonds. XRay-CT images will be used to identify internal cracks and defects. The data will be fused together and analysed using novel algorithms to identify the nature of wear, corrosion and cracking. We shall study the link between the service performance with the initial system architecture and manufacturing constraints and parameters and will develop new guidance for the system design and manufacturing for better service life, therefore reduce the engineering service effort. The efficient and effective capture, interpretation, transition, storage and fusion of a very large volume of complex data, information and knowledge represents an enormous challenge on many levels. To characterise failure, damage and degradation of the components using 3D optical, thermography and XRay-CT imaging, develop a novel technique to fuse the three types of data and analyse it to produce service feedback information using novel algorithms. 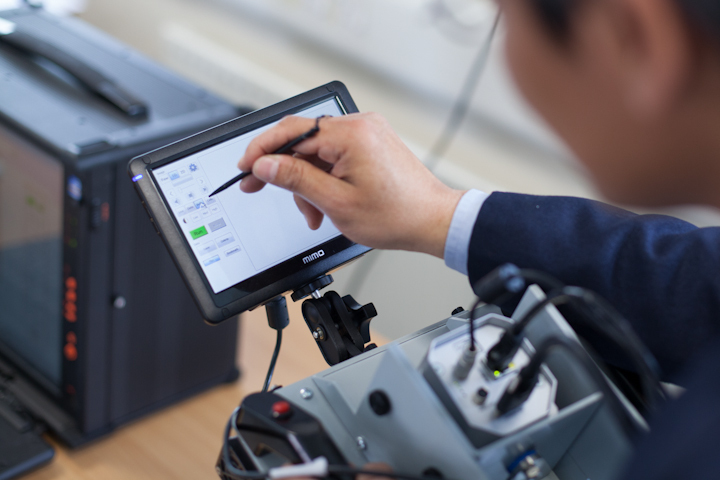 To develop a technology demonstrator to semi automatically capture different types of component degradation data from two different technology sources. To develop a methodology to tag the images with semantic descriptions for storage and easy retrieval. To define what information is necessary and relevant at the system architecting stage. To investigate how the service feedback will impact high value system design on specific examples. To investigate the relationships between the component degradation in service with the manufacturing processes used. To develop a PLM demonstrator on how the system design could be supported using the service feedback.